WASHINGTON — The government of Catalonia, an ethnically and linguistically unique region in Spain, has tabled their recent attempt at declaring independence from Spain. 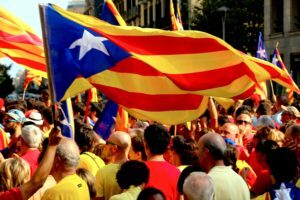 Reuters reported that this latest attempt, a referendum and their campaign for a vote, was temporarily suspended after the Spanish central government in Madrid filed a legal block to a referendum. Their brief push for independence, was in part, fueled by the unsuccessful independence bid of Scotland in the United Kingdom. The Scottish bid scared the United Kingdom so much that the central government offered a series of concessions to Scottish voters. The central government said that the referendum would violate the Spanish rule of law because it would only be held in Catalonia, which has been sparring with the government over the years. The Constitutional Court suspended the referendum, which would have been held Monday. Catalan officials want to overturn it, but will need time to do so.